1996 will go down as the year in which dance music looked over its shoulder and acknowledged its disco roots while reveling in fence-detonation cross-pollination. For years the various twains would never allow them to meet. Hip-hop, house and electronic music would rarely allow themselves to share the same bed. But this year has seen stained sheets everywhere as more people realize that the purpose of dance music is to make people dance—and the wilder the hybrids that do that the better. 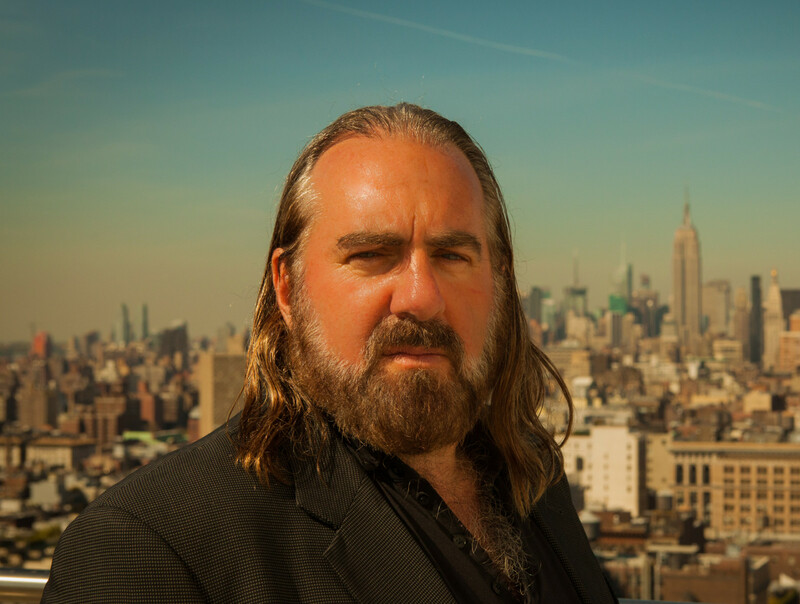 It’s a perfect time for the return of Arthur Baker, one of the few producers who can actually lay claim to having changed dance music history. He pioneered cut -‘n’-paste sampling tunes before “Beat This” and “Pump Up The Volume” with “Put the Needle To The Record.” His early remixes were among the first to create new rhythm tracks and employ breakdowns. And he can be as at home working with Bob Dylan or Mick Jagger as sculpting a deep disco masterpiece for London’s underground Dorado label. Arthur’s new single “It’s The Time,” which marks his return under the Criminal Element Orchestra name, may be a slice of nu-school ambient disco but there are over 20 years of spinning, clubbing, producing and simply loving music percolation in those grooves. Arthur Baker started Djing in the early 70s in his native Boston playing classic soul and Philly grooves off 45s. Realizing he didn’t have the patience to be a DJ if the crowd wasn’t dancing—he’d whip off the disc and hurl it across the dancefloor—he turned to making records and, after hitching up with later-to-be-big names like Maurice Starr and Micheal Jonzun, first appeared on vinyl around 1977. After the usual early disappointments and ripoffs, Arthur started hanging out in New York, which was at its peak of disco fever. He struck a club hit with a song called “Happy Days” under the name North End, made connections like Larry Levan at the “Paradise Garage” and was already foreseeing dance music trends by bringing in DJs (Jellybean Benetez, Shep Pettibone and Tee Scott) to help him mix records for maximum dancefloor effect (which could then be used on the new format of the 12″ single). In the early 80s Arthur was working in a record one-stop in Long Island City. Lunchtimes would be spent in the parks soaking up the sounds pumping out of the ghetto blasters and watching kids breakdancing. One of the most popular tracks was Kraftwerk’ “Trans-Europe Express.” It stuck in his head and when he met Afrika Bambaataa up at Tommy Boy—with whom he had released “Jazzy Sensation”—that they came up with the idea to transpose that haunting melody onto an electronic drum track. Arthur was introduced to longtime partner John Robie and together with the Soul Sonic Force they embarked on the voyage of sonic discovery which gave an unsuspecting world “Planet Rock,” the first electronic hip-hop tune which had seismic effects as electro-funk was born and New York City became an 808 state. By 1983 Arthur had started his own Streetwise label, and one of the unknown hopefuls he struck a deal with was Rick Rubin, then a student at the University who had a mate called Russell Simmons and a head full of ideas. The first Def Jam record “It’ Yours” by TLA Rock came out on Streetwise, but Rick and Russell went independent for future releases, including LL Cool J and the Beastie Boys. Arthur had employed the Beasties’ Adam Yauch as an assistant in his studio and they made a record called Drum Machine with Jay Burnett. Despite losing the Beasties when they signed to Def Jam, Arthur went on to strike gold with New Edition (signing and mixing the Candy Girl album) before his label was struck down with dodgy business partners Syndrome. In ‘91 Arthur signed to RCA and released a single “Let There Be Love” as the Backbeat Disciples along with an album with marginal success. More successful was his work on soundtrack projects, with his production of the Fried Green Tomatoes soundtrack yielding a top fifteen US pop smash for Paul Young and his music supervision of the “Listen Up—The Lives of Quincy Jones” and co-writing and production of the theme winning much critical acclaim. He also found time to co-pen Taylor Daynes’ top five US hit “With Ever Beat Of My Heart.” Four years ago Arthur stopped going to clubs because it had “gotten boring.” He was also still smarting after business problems led to the folding of his Minimal label, despite successes like the Jackie 60 and Soulboy projects. He calls it a period of “not much work” but he still managed to work on the soundtrack for the Flintstones movie, co-produce the Brooklyn Funk Essentials LP, executive produced an Al Green album, and wrote hit songs for MN8 and Billie Ray Martin. But in 1995 Arthur started spending a lot of time in London and while checking out clubs like the Bluenote, Speed and Bar Rhumba began to notice all the great dance records emanating from the likes of the Ashley Beedle posse, and started to get excited again. When he returned to New York old friends like Bejo Candelario and Victor Simonelli, who he had employed as editors back at the old Shakedown, would turn him on to the new sounds busting out of Louie Vegas’ Sound Factory Bar night. “It all made me think ‘we’ll give it another shot and see what happens.’” So Arthur set up a deal to revive his Minimal imprint with Dorado records, putting out such club hits as his Blowout Express outing “You’re Mine,” Diana Browns’ Love In Return, the First Choice remix series and the recently released Minimal Expressions album. He also saw his star rocket when he remixed an unknown outfit called Babylon Zoo and saw the resultant mix of a song called “Spaceman” become a raging success on the back of a Levi add. Now he’s back on the remix A list.